I would like to thank you for convening today’s meeting on the Situation in Afghanistan, as we adopt this year’s resolution on our country. To begin, let me convey my gratitude to Ambassador Christoph Heusgen, Counselor Friedrich Schroeden and the rest of the team at the German Mission for ably facilitating negotiations on the resolution. We also convey our thanks to all delegations for their proactive engagement and flexibility during the course of deliberations. 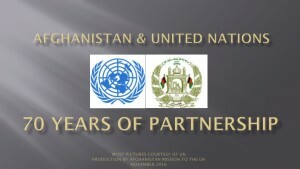 As a result, this year’s resolution reflects the important developments that took place during the course of the past year – covering the security situation; developments in the area of peace and reconciliation; the recent Geneva Conference on Afghanistan; and above all – the enduring partnership between Afghanistan and the international community on common goals which are imperative to us all. As we take stock of the situation in Afghanistan, a glimpse at the past will benefit our course of action in the way forward to consolidate gains and secure stability and security in the country. Afghanistan’s geo-strategic location in the Heart of Asia has led to vested interests, aimed at meddling and interference which served no benefit to anyone. The ensuing violence brought with it untold suffering and devastation for our people, resulting in a humanitarian crisis and leading to instability in the wider region. In that process, our people resisted and rose up to uphold the dignity and territorial integrity of their country. Following the end of the former Soviet occupation and collapse of the communist regime, we witnessed a new era of meddling, which, this time, saw the use of proxy groups for strategic gains. The challenges that we faced then are evident even today, requiring a reset of approach to change the calculus for the benefit of security not only in Afghanistan, but the wider region. Looking at where we stand, Afghanistan, in spite of all prevailing challenges, has crossed the threshold and turned the corner in our goals for security and Self-Reliance. This year’s resolution exemplifies the international community’s commitment to that imperative, for which we are grateful. In the area of security, our national forces are valiantly defending our dignity and freedom, and in the broader context, fighting to defend global security. They have engaged the Taliban and other elements of the transnational terrorist network from an offensive posture – inflicting heavy losses on those elements on the battlefield. Despite repeated attempts, the Taliban have failed to capture any province or city, and assert control, anywhere in the country. Such progress also relates to efforts in countering foreign terrorist fighters, such as Daesh, whose presence and capacity have diminished, including in the northern provinces. The Taliban and other affiliate groups have shifted their focus to attacks on population centers and other soft targets, including religious sites and gatherings to stoke internal tensions. The latest such attack was one against a group of religious scholars last month, where more than 55 were killed and over 80 wounded – some severely. Let me assert, once again, that such attacks can never undermine our unity or commitment to a peaceful and democratic Afghanistan. This was evident in the sheer number of Afghans who came out in waves to stand in lines for hours in defiance of terror, to cast their vote for the recent Parliamentary elections. We thank all international partners, including those in NATO’s Resolute Support Mission, and other partner nations providing support to further strengthen the operational capabilities of our national security forces. These investments are for the security of Afghanistan, the region and beyond. The past few months have seen developments in the context of our peace efforts, which provide a glimmer of hope for future course of action. Following Afghanistan’s presentation in February of a peace plan with un-conditional talks with the Taliban, and the Ulema Conferences in Kabul and Jakarta, the three-day ceasefire in June was observed. Progress was further advanced in July. The Organization of Islamic Cooperation (OIC) hosted an international ulema conference in Saudi Arabia, denouncing the war in Afghanistan, thereby leaving no grounds of religious justification for the war. However, the Taliban continued their violence and terror. Domestically, a national consultative process has been undertaken to ensure that peace efforts have the full support of all spectrums of society, from political parties and civil society; to tribal elders and religious figures; and women and youth groups. Less than two weeks ago in Geneva, our Road Map for Achieving Peace was presented. The document aims for a peace agreement that will uphold the constitutional rights of all citizens, especially women. Moreover, no armed groups with ties to transnational terrorist networks or criminal organizations, as well as state and non-state actors seeking influence in Afghanistan will be allowed to join the process. Further, to push the peace agenda forward, an authoritative negotiating team will conduct direct negotiations with the Taliban and we expect the same from the Taliban to give us a united negotiating team. Regional consensus is imperative for the success of this process. We have long asserted that the prospect of peace is most achievable when regional neighbors are on board and engaged constructively in support of Afghan-led and owned peace process. While we continue to lead the peace efforts, we also welcome current efforts of US Special Representative for Afghanistan Reconciliation, Ambassador Khalilzad in his outreach with regional players to strengthen that consensus and facilitate direct peace talks with the Taliban. We welcome those mechanisms along with other initiatives that conform with, and help to reinforce our Afghan-led and owned peace efforts, under the Kabul Process for Peace and Security. Moreover, in the context of Afghanistan-Pakistan relations, this year’s resolution highlights the signing of the Action Plan for Peace and Solidarity between Afghanistan and Pakistan (APAPPS) in April. This mechanism is aimed for improved cooperation to address outstanding concerns with respect to combating terrorism, and clear measures to advance peace efforts. Effective implementation of commitments under the Action Plan is a crucial imperative. No country can benefit more from a peaceful and stable Afghanistan, than Pakistan itself. Last week in Geneva, the international community came together with Afghanistan to assess our joint progress on a wide-spectrum of issues pivotal for Afghanistan’s stability. In our part, we presented our progress on benchmarks of the Self-Reliance Mutual Accountability Framework (SMAF) and national priority programs. We have focused on security sector, civil service and fiscal reform; improved governance and anti-corruption. These measures aim to strengthen governance and rule of law, which has been at the core of our reform agenda. To that effort, we have implemented new measures in our judicial sector to ensure a society where all individuals, in government and outside, operate in accordance with laws of the land. Over the coming years, we will remain closely engaged with international partners to meet reciprocal commitments under the Geneva Mutual Accountability Framework (GMAF). Mutual progress on these commitments will be reviewed through the annual Joint Coordination and Monitoring Board (JCMB); a Senior Officials Meeting in 2019; and our next Ministerial Meeting in 2020. As Afghanistan is fully engaged to meeting our share of commitments, we look for continued focus in regards to alignment, efficiency, and coordination of development aid from international partners. This year’s resolution highlights once again, the direct link between regional economic cooperation and peace, security, and stability in Afghanistan and the region. The past year witnessed sustained focus on strengthening connectivity by way of multiple mega projects that can bring transformative change in the region by linking peoples, cultures, products, and above all – our economies to common prosperity. Our commitment to this endeavor in manifested by the Afghan-led RECCA Process, under which progress continues on initiatives such as CASA 1000; TAPI; Lapis Lazuli Corridor; TUTAP; TAP 500; Chabahar Port; and 5 Nation Railway, among others. Among notable achievements this year has been the operationalization of Air Corridors with a number of additional countries since last year, leading to increased trade of goods and services. More broadly, we look forward to working with other regional and international partners to advance regional cooperation in the areas of security and social and economic development, under other regional initiatives, such as the SCO; ECO; SAARC; CAREC; CICA and others. 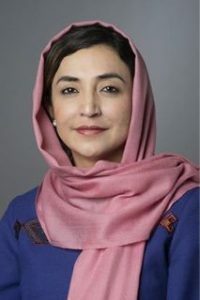 Afghanistan is a unique example whereby many countries from distinct regions and political blocs converged in 2001 for a common objective – to defeat international terrorism and promote a more secure and stable international landscape for all. That mission began with a strong consensus that cooperation and collaboration would serve the interests of all. Experience has shown that progress was most tangible when countries of the region and beyond, displayed effective cooperation in the context of international engagement in our country. At this critical stage, what is imperative is to re-generate and solidify that consensus for the goals at hand. In this respect, this year’s resolution calls for closer and more coordinated approach between regional and international stakeholders to advance peace, security and prosperity in Afghanistan. To conclude, I urge everyone present here, our allies and partners at the United Nations, to believe in the promise and potential of Afghanistan. Together we have traversed a long way, full of challenges and sacrifices, yet witnessed gains on an unimaginable scale. It is time to build on those gains as we move towards the road of sustainable peace. I thank our partners for their support towards the resolution adopted today, as well as their continued support for Afghanistan.